Statistically, Denmark is one of the safest countries in the world, meaning that visitors have little to worry about in terms of crime and women need not fear harassment in public nearly as much as they do in the United States. Still, if you visit this Scandinavian country, follow a few basic safety precautions so that you don't give petty thieves an easy target. Gov.UK notes that in the past few years, pickpockets and purse snatchers have started operating in crowded areas of Denmark, such as train stations and shopping malls. There have also been some recent violent clashes between biker gangs and local groups, particularly in the capital, Copenhagen. Although these are generally local conflicts unlikely to affect tourists, it's good to be aware of what areas you might want to avoid. If you do find yourself in need of help, dial 112, the country's free emergency number you can use to summon help. Considering Copenhagen is such a large, busy city, it's amazing to consider its low crime rates compared to other European capitals. 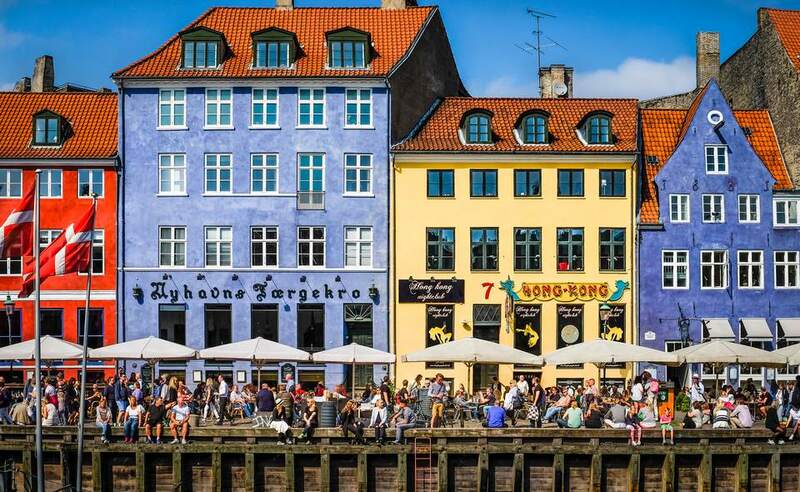 According to Bustle, for example, Copenhagen had a rate of only 0.3 homicides for every 100,000 residents, making it safer than Madrid, Vienna, Berlin, Amsterdam, Prague, and Bucharest. As with any other destination, though, you should keep an eye on your wallet or purse. Although not especially common, pickpockets and other petty criminals operate at many tourist attractions, train stations (especially in the city's main train station, Nørreport Station), and on its major shopping street Strøget as well as other areas popular with tourists such as Christiania, Nyhavn, and Kongens Nytorv. Thieves are also known to operate in busy hotel lobbies and in cafes and restaurants. so keep your personal belongings, including passports and money, secure when you are in those areas of Copenhagen. Aarhus (Århus), the second-largest city in Denmark, is located on the east coast of the Jutland peninsula about 116 miles northwest of Copenhagen and is known as one of the safest cities in the world, especially for tourists. This is a destination where you don't have to worry about getting shot, mugged, or even robbed—as long as you remember some basic travel tips and keep your purse and wallet in sight, especially when attending crowded summer festivals in the city. Nightlife in Aarhus is also much safer than many other European cities' club scenes, with police officers constantly patrolling the streets on weekends. Almost everyone is friendly here, too, so if you get lost, just ask a passerby for directions—they'll be more than happy to help. Denmark's rural areas are very quiet but may be slightly less safe than urban areas—not in terms of crime but in cases where you might need help for other reasons, such as a medical emergency or car accident. Many residents in rural areas do not speak or understand English well enough to help you with a safety issue, and emergency response times by police and ambulances may be slower in these regions. On the upside, accidents in rural Denmark are rare and there is almost no crime. If you keep a flashlight handy and a pack of supplies (like food, water, and blankets) in the car for emergencies always use your headlights and seat belts, you should be able to travel all across Denmark without fear of harm.